The treecabinet is made of Dutch elm. The elm used for this cabinet was cut in 1999 as a result of the elm disease in Kloosterzande. The shape of the cabinet relates to the shape of the tree, conical and with the same width as a big Dutch tree on chest height. 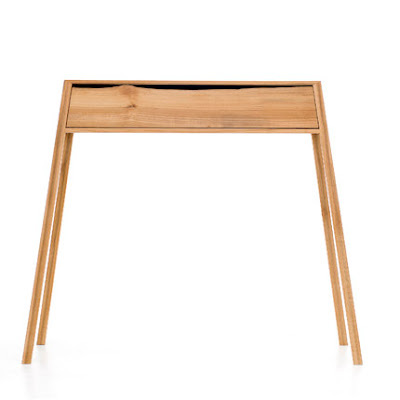 The shape of the front of the drawer has been left untouched as a memory of the natural shape of the tree.